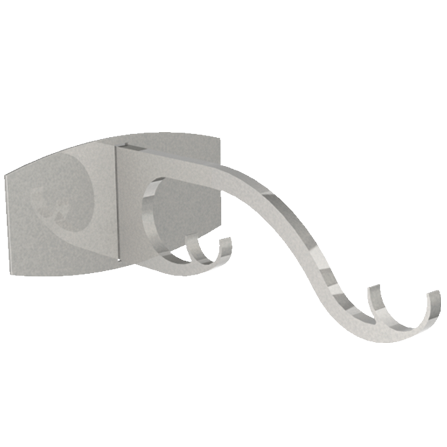 Passing brackets are designed to allow the drapes to move past the bracket when used in conjunction with passing rings (sometimes known as c-rings). 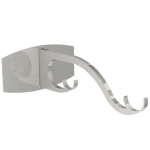 This passing bracket design incorporates a horizontal back plate which gives a streamlined look, as the back plate and the pole are in the same plane. The double arrangement allows a sheer or voile to be added to the rear of the system for privacy. The back plate has slotted fixing points and a clever magnetic cover plate gives a clean finish to the design. The bracket is made from steel and has been carefully polished and prepared by hand for the finishing process, before receiving it’s specialist coating.